Are merchants, acquirers, issuers etc. equipped with necessary arsenal to combat card fraud? Is the card-not-present environment still susceptible to fraud? Just a month back, a research by the Newcastle University in the U. K., indicated that working out the card number, expiry date and security code of any Visa credit or debit card “can take as little as six seconds”. For their part, Visa stated that this study didn’t consider other layers of security such as its Verified by Visa system. Monica says it is not advisable for merchants to rely exclusively on card schemes for a safe and secure payment processing environment. “Just like everyone else in the industry, the card networks were initially caught off guard with the explosion of ecommerce growth and were ill-equipped to handle emerging threats,” she says. “Unfortunately, right now, it’s every ecommerce player for themselves. Retailers, airlines, OTAs, PSPs, banks—everyone needs to critique their own individual risk exposure and create a customized mitigation plan. Fortunately, there is an abundance of effective products and services available to choose from that will help ensure success.” In doing so, it is important to consider a few necessities. First, individual tools or solutions need to be incorporated into a comprehensive strategy and evaluated against a profitable level of risk exposure. Second, risk mitigation needs to be dynamic—what worked yesterday might not work tomorrow. In the advent of greater tech advances, hackers themselves are also relying on machines to write algorithms to hack systems and crack codes, and they are getting better and quicker at it, Justin Lie, Group CEO, CashShield, a SaaS based self-learning fraud prevention solution for ecommerce, says. Other than capitalizing on vulnerabilities of a credit card or a debit card, hackers are also creating fake accounts on e-commerce sites to run hacks on the stolen credit cards. Therefore, much greater effort is needed to strengthen the current infrastructure, and it will have to be a combined effort between card schemes, PSPs and merchants to prevent cybercriminals from getting away too easily. Currently, there is a lack of information and transparency between merchants, PSPs and card schemes, while merchants receive almost no protection against fraud losses, since they have to bear the cost whenever unauthorized chargebacks are filed. “This broken line of communication should be fixed, while each stakeholder must understand the fragility of payment card security and where they stand in the ecosystem, or it would be difficult for the situation to improve. In the meantime, merchants themselves should also invest in identity management in authenticating fraudulent accounts (or hacked accounts) to protect themselves,” says Lie. 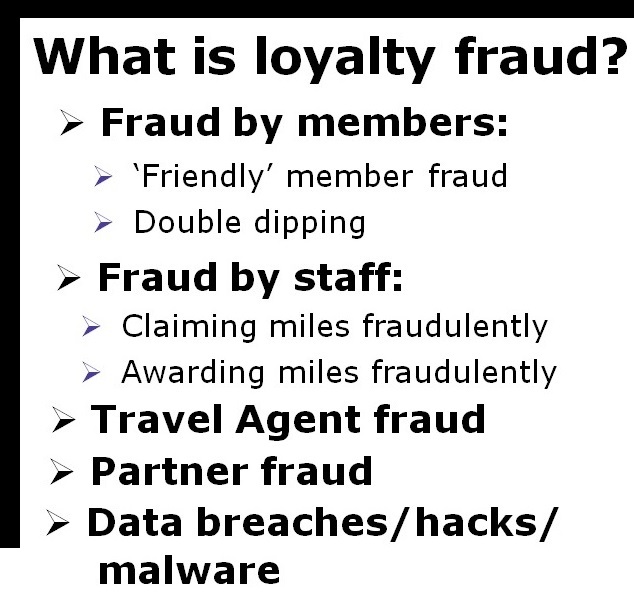 Airlines and OTAs absolutely need to create their own fraud mitigation strategy. Ai is set to conduct the 11th Airline & Travel Payments Summit (ATPS) this year. Ai Editorial: Real-time fraud prevention, can this be attained in 2017? Commerce today is about seamless movement between devices, and this also means one-click or no-checkout options in an omni-channel environment. With all this, security is certainly the issue, and in an increasingly global world, so is the ability to accept a variety of payment methods, currencies and devices. Customers want to be able to shop and buy, no matter where they are or which channel they're on – offline, online, mobile, app. Airlines and brands must position their products, goods and services for all channels – keeping in mind that customers of tomorrow will increasingly be interacting primarily or solely from mobile devices. On the fraud front, improvements in biometrics, authentication, verification and identification will gradually reduce the risk of fraud. The blockchain process, developed for cryptocurrency verification and authentication, holds a lot of promise for increased payment protection in the mobile environment. The workload on financial institutions has risen with the advent of real-time payments. Key components of real-time transactions include certification of payment, availability of funds, instant settlement and confirmation of the transaction. The industry has had to figure out configuration for inter-bank settlement, and also core processes should be available in an unbroken manner. As Accenture points out, considerations include real-time settlement of every payment or deferred net settlement, loss-sharing agreements or prefunding of settlement accounts etc. Global payment infrastructure has been moving toward faster payments and real-time settlement. So considering new ways in which transactions are happening, say via mobile, how this demands better fraud management effort? Justin Lie, Group CEO, CashShield, a SaaS based self-learning fraud prevention solution for ecommerce, says a decade ago, the payment landscape was largely dominated by banks, and these banks set in place industry security standards and protocol to protect merchants and themselves from breaches and hacks. “However, with the rise of financial technology or FinTech, so has the number of FinTech companies. With more than 9000 companies currently around, and with the number expected to grow, the number of points of breaches have grown as well, since these FinTech companies do have to deploy or adhere to the same security and safety protocol that the banks stick to for protection. Here, the entire payment ecosystem on the whole has weakened with a larger number of fail points,” says Lie. In addition, traditional rule based fraud solutions require manual reviews to be done before the settlement period (normally the next day after the transaction is processed). “Real time settlement will greatly hinder these conventional solutions since they will have to either auto accept or reject these manual reviews to process payment,” says Lie. He says to deal with this, merchants have to either accept almost all transactions (thus increasing chargeback rates) or reject seemingly risky transactions quickly (thus lowering conversion rates). This traditional fraud management is seen as static defence, but it has become evident that such traditional methods are falling behind newer methods that fraudsters are designing to launch their attacks. “With new channels of payments such as mobile or NFC, more creative modes of fraud are expected to appear. It is important for us to transit then, instead, to active surveillance by deploying big data user and entity analytics to understand the user behaviour behind each transaction. Considering that most fraud attacks come as a coordinated attempt from a single script, automated to maximize the number of hits in the least amount of time possible, they will leave behind a pattern that can only be detected by understanding user behaviour. Even as new forms of payments become popular and mainstream, active surveillance will be more relevant (rather than static defence) and effective in dealing with fraudsters,” explained Lie. Mobile as a platform for transactions is facilitating new ways of payments. But mobile fraud is relatively more challenging to handle. “It is so (mobile fraud is challenging to merchants) as transactions that are made through mobiles collect less information than web transactions, and therefore look much more similar. Without the appropriate technology or expertise, it is difficult for merchants to be able to differentiate between the real or fraudulent orders. As a result, higher costs are incurred, which includes the greater chargeback rates, lengthier time for manual reviews and bad service rendered to users,” said Lie. Even though, the risk of fraud is greater as there are additional hindrances when it comes to cardholder and device authentication, apps like Apple Pay and Samsung Pay could actually help deter fraud. Both of these apps rely on biometric fingerprint technology in order to authorize a transaction. Therefore, in order for the user to authorize a transaction, the cardholder needs to provide a fingerprint. Not only is this a strong deterrent against unauthorized transactions, but the customer’s fingerprint attached to a transaction is very compelling evidence in the merchant’s favor in the event of friendly fraud. Lie says most existing fraud solutions around are still quite far away from achieving real time automation. (2) from human intelligence of the large risk analyst team to manually provide inputs. “The way these machine learning algorithms are designed forces the solution to rely on these training data sets, requiring at least 10-30 days (or even months) of training. As a result, the long training gap and the reliance on training data sets prevents the solution from making decisions instantly, but rather only allows it make predictions of the probability of fraud,” says Lie. He says real time machine learning is required for real time automated fraud prevention. Real time machine learning means that the fraud system is able to learn instantly on the fly with each new incoming transaction, and requires no lag time or historical training data sets to provide information on the new transaction. Consequently, the system is able to make optimized decisions instantly, without the need for manual reviews. However, it seems like it will still take 2-3 years for the industry to switch from predictive models of machine learning towards real time machine learning, due to the rarity of such solutions. Are you bold enough to survive in the brave new world? Assess your preparedness at 11th Airline & Travel Payments Summit (ATPS). Ai Editorial: Retail or travel – can you define “convenience” in a different way? “No line. No checkout.” This is what the retail sector is inching towards. Being “made to wait” at any stage of shopping, be it offline or online, can be a dampener. So the retail sector is steadfastly doing away with what can be the bane for conversion or the overall shopping experience. If we go by what Amazon has come up with (Amazon Go is a new kind of store with no checkout required) or even what Panasonic is testing (convenience-store checkout machines that can scan and bag items on their own), then you don’t really worry about waiting for paying. In case of Amazon Go, the company says you never have to wait in line. Consumers can avail the Amazon Go app to enter the store, shop and leave. In case of Panasonic, the system is retailer agnostic, so one won’t necessarily need Amazon credentials or a specific ecosystem, says Apple or Google. This all needs to be considered as the bar for delighting a customer gets raised. Comparison between retail and travel would be inevitable at some stage, as one would expect travel e-commerce to respond too. So if I am moving straight out of a supermarket without having to wait for my turn to pay, then why wouldn’t I expect the same say during any stage of my journey? Isn’t it relieving when you move out of a cab, say Uber, and all you need to do is focus on luggage rather than paying for the ride? It might not take more than a couple of minutes to pay, but when technology saves your time, we start falling for it. We start expecting it in other areas, too. Technology is driving automation, and it can overlap for different sectors. For instance, Amazon Go’s checkout-free shopping experience features similar technologies as used in self-driving cars: computer vision, sensor fusion, and deep learning. The Internet of Things (IoT) is also lending a new dimension to convenience. So as machines take over and manage certain decisions, say ordering grocery, consumer behavior is likely to alter drastically. This definitely is going to affect e-commerce merchants, including airlines, across the globe. As we highlighted in one of our recent articles, IoT thinking and increasingly smartphones are leading to more sophisticated digital wallets and mobile payments – which will lead to personalized mobile wallets or payment technologies with predictive capabilities built in. IoT might extent to other transaction or authentication technologies, and some banks or companies are already experimenting with voice recognition, facial recognition, various kinds of chips, even pulse recognition as the identification-verification step needed for payments. As for facilitating payments, as Ingenico points out, the IoT payment solution will need an infrastructure based on cloud architecture and connectivity. This would call for standardization in the payments process. Despite the unique and inherent attributes that have shaped travel into a silo industry, airlines and OTAs alike are coming to the conclusion that the gap between travel and traditional retail is reducing. This is due in part to the growth of ecommerce and evolutional demands of today’s consumers. As a result, a competitive advantage will be given to those companies that think outside the box when it comes to payment acceptance. Conversion has always been a hot topic, but with the transformational changes in payments, gaining a competitive advantage takes a lot more than layout and price. Similar to what has transpired with big box e-tailers, the changes in consumer behavior today foretells significant innovation requirements for travel and airlines, as asserted by Chargebacks911’s COO, Monica Eaton-Cardone. In a recent interaction, she pointed out that e-commerce leaders such as Amazon and Apple have pioneered efforts that will forever change the way buyers and sellers view commerce, but even before the hype of today’s frictionless frenzy, payment methods and options were evolving. Loyalty programs advanced to store credit, financing options such as “Bill Me Later” became a popular contender, and a variety of monthly recurring options with the addition of new value add-ons helped curb profit requirements in order to support price wars—which are still going on today. When it comes to airlines, the breadcrumb trail has already been laid. Loyalty programs offer dwindling promises as airlines are forced to follow the footsteps of other industry pioneers that faced similar issues. The could be fraud risk with emerging payment options and passengers do worry about security and privacy of their information, especially when it is stored in the cloud or available online databases. The good news is that travel isn’t the first industry to test out these emerging options. Effective management strategies, first designed for the pioneering retail sector, are available and scalable for travel. Solutions are derived from rule-based service policies and intelligent feedback. As for payments, the real challenge is that each payment method has its own risk factors. It’s necessary to plan accordingly—for each different payment method you accept or new technology you embrace, carefully research any security vulnerabilities, and have a solution in-place to mitigate that risk. But airlines would need to respond swiftly to emerging developments in the retail sector. The fact is, today’s customer is a very different consumer than those of the past, and the gap between travel and retail is closing quickly. In order to compete, conversion is king. This means being able to identify your customer’s wants and needs, then serving up options that meet or exceed those expectations. Ai Editorial: What can reduce an airline’s liability when we talk of chargebacks? Various stakeholders need to jointly improve the situation as there can be instances where airlines and merchants at large can be clueless. There are multiple stakeholders at risk when it comes to chargebacks. Fraudulently filed chargebacks touch each party in the payment industry. But is the functioning of the industry in its entirety falling short and ironically rendering most harm to the very consumers it was invented to protect? The industry cumulatively needs to combat the issue of chargebacks. As for airlines, today’s solution must be agile and diverse, coupling an evolving defence with effective representment strategies. Do remember - chargeback prevention is much easier than chargeback representment. So plan prevention diligently. If a mistake is legitimate, then disputing the same will be futile. Airlines need to focus on a multi-layer fraud management plan. It should feature complimentary tools for all-inclusive protection, rather than counting on just the basic tools. It doesn’t mean that there is a need to use every product available. Neither strategy will effectively minimize risk exposure. For example, any merchant using Address Verification Service along with card security codes or 3D Secure is technically using multiple solutions to prevent fraud. Other options include card security codes, geo-location, device authentication, proxy piercing, biometrics etc. Airlines need to carefully consider a plan that will address their individual threats. · Acquiring banks can help reduce the effects of fraud by establishing internal blacklists and developing chargeback triggers for advanced alert notifications. · Processors who undergo the most stringent underwriting procedures to maximize their KYC (Know Your Customer) compliance will ultimately reap the benefits through helping to ensure their merchants are following best practice methods that work alongside operational efforts to prevent friendly fraud. · For issuers, additional due diligence is key. Despite the temptation to rapidly resolve a cardholder dispute, additional effort will pay off in the long run for those who consciously work to prevent bad habits from forming in the first place. It is pointed out that the problem of chargeback fraud has worsened due to operations of banks that offer both issuing and acquiring services. “There are various entities involved in the chargeback process and each impacts the outcome differently. Some parties help while others hinder. But more often than not, the individual entity isn’t to blame, rather the policies and regulations set forth for the entire industry,” says Chargebacks911’s COO, Monica Eaton-Cardone. Citing an example, she says, ecommerce wouldn’t exist if card networks and issuers hadn’t taken steps to boost consumer confidence when it comes to payment card use and liability. By abating cardholder’s fears about potential losses tied to fraud, networks and issuers have enabled millions of businesses around the world to experience optimum profitability via card-not-present transactions. However, by advertising zero liability, issuers have inadvertently incentivized friendly fraud. On the other hand, cardholders and merchants are both, technically, customers of the card networks. “As you can imagine, appeasing both sets of customers would be a challenge! Unfortunately, regulations often benefit the cardholder while too much onus is put on the merchant. However, networks have made strides in recent years to slightly lessen the merchants’ liability—for example, accepting flight manifests as compelling evidence and MasterCard’s reason code modernization efforts,” explained Monica. Despite the hundreds of reason codes used by card networks to categorize chargeback causes, there are actually only three sources of chargebacks: criminal fraud, merchant error, and friendly fraud. First, merchants need to reduce their exposure to criminal fraud. With the proper technology, customized rule sets, and expert analysis, merchants can significantly reduce the number of unauthorized transactions that get processed. Next, eliminate merchant error. As much as 40% of chargebacks could be cause by the merchant’s own mistakes, oversights, or shortcomings. Ensuring the business’s actions or inactions haven’t actually caused the transaction dispute is essential. An objective and unbiased review of policies and operations can help create an exemplary customer experience and flawless payment processing. If merchants can eliminate the first two sources of chargebacks, all that’s left is to manage is friendly fraud. If the case isn’t obviously friendly fraud, merchants are left with the great debate of legitimacy. In these situations, many merchants assume it is better to err on the side of caution, as making an incorrect response could inflict severe consequences. Letting friendly fraudsters slip by is better than mistakenly challenging legitimate criminal activity or an error on the merchant’s part. Moreover, the resources demanded of friendly fraud mitigation is usually more than merchants are willing to sacrifice—especially since in-house teams see such limited ROI. Bottom line: merchants aren’t taking great enough strides towards effective friendly fraud mitigation. However, there are numerous factors outside their control that influence their reluctance to make a more substantial effort. There are countless examples of how friendly fraud is executed. As Monica explains, airlines can suffer from the equivalent of ‘return fraud’ that is perpetrated in any other ecommerce industry. For example, a cardholder buys tickets but later realizes she must change her travel plans. Because she doesn’t qualify for a full refund from the airline, she’ll file a friendly fraud chargeback and claim the purchase wasn’t authorized—when in fact, it was. Card networks have announced they’ll accept the flight manifest as compelling evidence against friendly fraud. However, there are a very limited number of situations where this documentation can actually help. For example, a cardholder buys a ticket so his girlfriend can come visit at Christmas. While she’s there, the two get in a big fight. Grieved that he paid so much money for such a lousy trip, the cardholder disputes the original purchase. Because the cardholder’s name doesn’t match the flight manifest—because the boyfriend bought the girlfriend’s ticket—there is little the airline can do. Why do websites get hacked and what to do when it happens? Being ready for the same is an ongoing exercise, and it needs to be an integral part of any crisis management plan today. Travel brands have been at the receiving end, so it’s important to keep a tab on areas of vulnerability. Specialists label forms, login pages and dynamic content are soft targets. One needs to assess the modus operandi behind web application attacks. They can happen over free open-source software and commercial or custom-built applications. Today it’s mandatory for every organization to comprehend aspects of an application’s information security. Airlines need to gear up for penetration tests. This evaluates the effectiveness of information security controls implemented in the real-world. Advantage of penetration testing: Knowing a system’s vulnerability before an invader gets to know it. Access is considered to be a critical aspect when one talks of hacking. One needs to have a detailed look at how does one log into hosting panel, server, website, a device etc. A detailed study of how a fraudster/ attacker tends to evade a web application’s authentication and authorization process and ends up gaining access to content of an entire database is must. Injection errors emanate from a failure to sort out untrusted input. Other than SQL injection, other common mistakes are sensitive data not being encrypted at all times and Cross-site Scripting (XSS) attack (a web application makes use of unvalidated or unencoded user input within the output it generates). An XSS vulnerability results when malicious script that one inserts eventually get parsed in the victim’s browser. Today there are automated web vulnerability scans that are available for guarding one against XSS attacks. The pace with which new code gets deployed today, it is imperative to automate security of a web application. There is also need to guard against manipulation of software vulnerability, featuring crooked Uniform Resource Locator (URL) or POST Headers. One also can’t ignore instances where a malicious website, email etc causes a user’s web browser to perform an unwanted action on a trusted site for which the user is currently authenticated. Once a vulnerability surfaces, an organization needs to tackle the risk associated. As Acunetix, a web application security software specialist, recommends, the level of risk can be ascertained from numerous data points – “the severity of the vulnerability, the consequence should the vulnerability be abused, and threats the application faces.” So a Stored Cross-site Scripting (XSS) vulnerability in the authenticated area of a business-critical application hosting sensitive information may appear as a bigger risk than a Blind SQL Injection vulnerability in an internal application that does not pile up sensitive data. As for new technology, ecommerce sites are relying on analytics and machine learning for real-time cognitive fraud detection. For instance, IBM has come up with new behavioral biometric capabilities that incorporate the use of machine learning to help understand how users interact with banking websites. Fraudsters have a cognitive behavior just like users and it is quite different than a real user. Suspicious behavior is being tracked in new ways to detect new account fraud for online banking and eCommerce sites and malware/ bot activity. Travel brands have faced situations where severe attacks have happened, and it’s a dreadful situation. Foregenix, a specialist in digital forensics and information security, recommends that organizations need to take compressed backup of the entire web root, and export any database associated with the website. So if payment card data has been stolen then this back-up will needed when there is an investigation by card brands and/or law enforcement. Again, in order to support any inspection, rather than eliminating suspect files from a website, store a copy in a secure, compressed, offline location, recommends Foregenix. Inform processor and acquiring bank. This is in turn will help in dealing with Visa, Mastercard, Amex and the other brands if payment card data has been stolen. Spot the IP addresses used during the attack. This will help in identifying attack patterns inside of web server logs and other system logs. Acunetix suggests that companies need to identify accounts that have been compromised. Change the credentials for these accounts. Also, check for malware, malicious software that is developed with the intention of infiltrating a computer or website without the consent of the owner. Check how it works. Viruses, worms, and Trojan horses are examples of malicious software. This is important as most malware are designed to infect other systems. There have been cases where companies have worked with forensic experts and swiftly removed the offending malware. Being accountable: A leading hotel brand, when its credit card data was breached around a year back, chose to address the question from a consumer’s perspective - How do I know if my credit card has been compromised? The answer from the chain – “If you suspect any unauthorized activity on your card, we recommend you contact your credit card provider directly”. The group also acknowledged that despite having leading data security systems in place, the malware was “undetectable” by all anti-viral systems. Brands are expected to be answerable at all times by customers, and organizations need to be prepared for all external communication related to any such attack. Ai Editorial: Payment within a walled garden, one bait tough to ignore? No marketer likes to get locked in a particular data ecosystem. But, marketers at large, also can’t do without Facebook, Apple, Google, and if we talk of China, then Alibaba, Tencent, and Baidu. Be it for brand awareness or completing a transaction on such 3rd party platforms, if there is no provision to get data out of an ecosystem, then it inhibits optimisation of the overall marketing initiative. The repercussions vary from wastage of ad expenditure to annoying a customer – say serving an ad repeatedly even if the customer isn’t interested! So if we talk of Facebook, Google, Apple etc., then making the most of data from each ecosystem is must. One might excel in search and the other could be sharp in the arena of apps or social. The challenge crops up when one tries to work on customer profiles or assess the overall customer experience. On the positive side, ad tech companies like Bitly are looking at this conundrum, and offering trackable links in every channel for a unified view. No doubt cross device tracking and attribution can be a tough task, but airlines need to go with the flow. The direction in which Google or Apple move, airlines, too, need to capitalize and assess where they can step up conversion, more so when transactions can be facilitated by that ecosystem only. 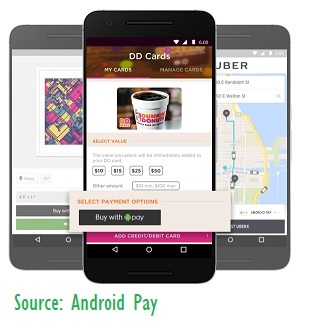 In this context, the recent move by Apple Pay and Android Pay to enable users to use OS-Pay through a web browser is an important development. This is what Android platform promises - be it your chosen app or checking out on Chrome, one just need to rely on Android Pay at checkout and leave the rest to “Android”. Chargebacks911’s COO, Monica Eaton-Cardone asserts ‘OS-Pay’ can propel consumers’ purchasing behavior and merchants’ fraud management. Not only “mobile consumers” are much more likely to complete a transaction, but fraud risk is minimized, too. Airlines need to support popular wallets and payment apps quickly. Imagine there are two customers - one has downloaded an airline app, whereas the other is keen on using 3rd party app/ wallet. Both are accessing same trip essentials, including an airline seat. So how should airline look at their own digital offerings, and also capitalizing on 3rd party mobile wallet payment platforms? “Airlines are well positioned to capitalize on the earning potential associated with mobile wallets and branded apps. With the addition of up-sell options and full-service concierge, direct retail apps create an ample opportunity for savvy airlines to leverage current demands. Not only that, but by adapting tokenized technology, airlines can enhance security and reduce overall friction while simultaneously improving conversions,” says Monica. Traffic is key, and giving consumers a one-stop shop has proven to be the most winning solution. 1. Enriched data sources: Data analysis is one of the most important components of a successful fraud detection solution, says Monica. When it comes to new methods or technologies, there are additional elements required in order to perform a relevant analysis. Without knowing these elements and understanding how they relate to the overall picture, fraud exposure is apt to increase. 2. Improved human intelligence: New technology also means new and unknown opportunities for fraud. “However, human intelligence in the form of manual review processes, improved quality control, and customer service checkpoints can help negate the threats that frequently accommodate these emerging payment techniques. Human forensics should be a top priority and aligned with any plans to implement a new method or payment strategy,” says Monica. 3. Collaboration and communication: Airlines servicing multiple countries with many departments are challenged with the task of maintaining continuity while implementing new initiatives. Establishing a feedback loop for fraud suspicions will help keep fraudsters at bay and prevent repeat attacks from happening. There are several types of evolving fraud—friendly fraud, for example. A large percentage of these risks can only be detected through communication and collaboration. Today, we are talking about winning over “micro-moments”, and a key factor in same is enabling customers to shop and pay in an omni-channel environment. The ability to use Apple Pay and Samsung Pay for online purchases could streamline the process, considering the prowess of their parent companies. If the customer elects to use one of these methods, they wouldn’t have to worry about typing-in all of their cardholder information for each purchase; that data could simply be stored and recalled at will. As a result, customers would be less likely to abandon a transaction. Of course, as Monica says, this could also be a double-edged sword. There is a kind of balance between streamlining the process and encouraging customers to buy without first thinking through a purchase. As a result, this could lead to buyer’s remorse, which could mean returns or even chargebacks at a later date. Another point of friction could be recalling data smoothly across channels. “If a customer begins a transaction on one device but decides to switch to a different channel, that information will need to be immediately recallable. With even minor points of friction, the likelihood that a customer will abandon a transaction increases dramatically, so it would be wise to try and make the process as efficient as possible,” concluded Monica. Optimizing payments-related infrastructure requires one to excel on many fronts. Be it for data privacy and data security challenges, the simplicity and speed at which an airline process their business payments and transactions, accepting varied form of payment methods or ensuring the entire set up doesn’t hamper the travel shopping experience by keeping everything under design control, a lot needs to be done. Every facet has its significance, and airlines can’t afford to slip on any account. Airlines, just like any organization in the arena of digital commerce, need to keep place with telling changes in the enterprise IT environment. Talking of payments, cloud computing is an attractive proposition, and this is owing to several benefits – curtailing expenditure, cost cutting etc. But is cloud secure for payment processing? This is a vital conundrum to solve as no airline or any travel organization would imagine being a victim of any sort of fraud or even a data breach. 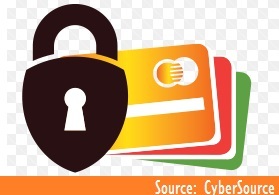 No matter how strong the infrastructure is for processing of payments, airlines and other travel merchants can always be jittery when it comes to trusting a 3rd party vendor with key details such as traveller’s credit card information, with the perception that data must be stored in-house in order to handle chargebacks etc. When one talks of drifting away from on-premise software solution for processing, there would always be some level of reluctance. There is a need to evaluate potential risks in a shared environment. As observed over a period of time, cloud data-centre security is being labelled as more vigorous than that of on-premise legacy servers. As a result, cloud-based software is gaining prominence. WEX Travel, a provider of virtual payment solutions to the travel industry, in one of its recent blog postings, did refer to apprehensions about cloud specialists’ ability to “keep data secure” as a major roadblock that hinders shifting of processing to the cloud. As WEX also acknowledges, cloud providers “devote more resources to security”, but still there is need to verify the plans for storing data at the cloud. It needs to be highlighted that the utility of cloud computing is on the rise. Payment specialists are looking at delivering seamless omnichannel payment processing within a single payment solution. This week Adyen announced that for the first time, merchants “can enable credit card payments, manage complex alternative payments, offer fraud solutions and conduct EMV card-present solutions globally over a single interface delivered entirely in the cloud”. Adyen says with this move, one can avoid costly systems integration, data reconciliation is in real-time, and the offering is payment method agnostic. Cloud-based payment tokenization lays a strong foundation and ensures that an organization’s sensitive data doesn’t get stolen from their business systems. Tokens can feature in transactions involving debit and credit cards, loyalty cards; cloud-based payments; e-commerce and m-commerce payments - card-on-file data. By tokenizing sensitive data, you remove it from your environment, reducing scope and compliance. Also, airlines can’t afford to work with specialists that only tokenize payment data, and leave other sensitive data streams. Importantly, tokens (essentially results from a procedure in which a sensitive data field, Primary Account Number or PAN from a credit or debit card, is swapped with a proxy value named as token) can pave way for accomplishing compliance with requirements that specify how sensitive data needs to be handled and secured by companies in order to adhere to guidelines such PCI DSS. The proxy value or tokens cannot be upturned to their primary values without retrieving the original set up that relates with their original values. Such key information is kept in a secure location inside a company’s firewall. Only cloud tokenization erases toxic data out of PCI, PHI, and PII scope. (In comparison, when we talk of encryption, the surrogate can be reversed to the original value via the use of a “key”). Travel companies need to assess the efficacy of the chosen cloud security offering, especially in terms of taking care of most of the scope of PCI Compliance by eradicating payment details from enterprise systems and substituting it with surrogate value or token; capturing payment data prior to its entry into systems and storing the PANs in data vaults, returning tokens to systems; replacing tokens from systems and transmitting PANs to payment processors and service partners; batch processing PAN files into tokens and securely vaulting the PANs. Speed is of essence, too. In today’s fast paced shopping environment, microsecond latency counts. The time taken to transforming PAN to token and back to PAN needs to be done in a swift manner, and this shouldn’t have any sort of negative impact on payment processing. As WEX highlighted, airlines need to curtail the level of detailed information an entity needs to store. Plus, restrict staff’s access to such data. Also, when it comes to paying vendors with Virtual Card Numbers (VCNs) one doesn’t need to be aware of bank account information and don’t need to protect their sensitive information. WEX stated that VCNs also mean that your own account information is safe whether you or the vendor tracks and processes payments in the cloud. “Because VCNs can be used only once, even if there’s a breach, as has happened with hotel chains including Hilton, Marriott, and others, there’s no risk of fraudulent transactions,” highlighted the company in its blog. When one talks about the role of machine learning in managing fraud, there is one question that immediately crops up. How does machine learning take the onus and deliver – in terms of liability shift as well as handling fraud and boosting sales? 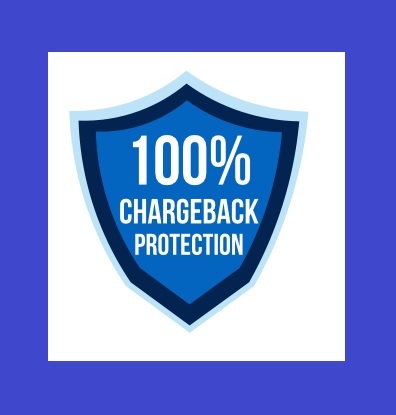 The industry is already talking about 100% chargeback protection i. e. getting entirely refunded for any unauthorized transaction not getting detected. As it turns out, a huge problem with the traditional rule-based fraud solutions and reliance on manual reviews lies in a risk-averse approach to managing fraud. Methods like these are overly focused on bringing down the fraud rate as close to zero as possible, and tries to prevent the first chargebacks from happening. When this happens, sales suffer tremendously. Firstly, fraud managers would rather not take the risk of accepting a borderline transaction (which could be genuine), resulting in much greater false positives. At the same time, rules deployed (location based, amount based, time based, etc) limit genuine users from making transactions. In addition to the effectiveness in detecting fraudsters, with machine learning, the system understands when to skip rules when positive behaviour is detected. Furthermore, an optimized algorithm (another form of machine learning) allows the system to optimize and make the most of all the transactions that are seen as part of a portfolio. Based on calculated risks, the system passes the optimized number of transactions while ensuring that chargeback rates are still under control. As a result, borderline genuine transactions can be passed and unnecessary rules and bans are lifted, improving sales greatly. According to Justin Lie, Group CEO, CashShield, a SaaS based self-learning fraud prevention solution for ecommerce, around 3-4 years ago, airlines were reluctant to speak about big data and machine learning as they were still very reliant on payment gateways to handle fraud. However, in recent times, fraud has evolved to become much more complex, and airlines have increasingly come to understand the importance of fraud management to gain competitive advantage and optimize sales. “We are definitely seeing a positive trend of airline companies gaining back control of their payment options, flow and procedures in the industry, and they are more and more knowledgeable about putting together the various pieces of puzzle to enhance performance,” Lie says. The use of rules and manual reviews hamper sales and are not the most effective form of managing fraud, added Lie. “When airlines move away from traditional methods, they must be comfortable with automating most or all of the fraud systems, which means that they can redirect resources to more important areas and focus on their core business, and also allows them to scale up operations much easily while keeping the cost managing fraud under control,” said Lie. When using traditional methods of detecting fraud (deploying hard rules and manual reviews), it is often based on analysing the standard fields (name, address, email, IP location, fingerprint and what can be found on the order form) and what transactions have passed through the hard rules. The problem here is that those standard fields and hard rules are extremely easy for fraudsters to manipulate and get passed once they have figured the rules in place. For example, it is now easy for fraudsters to generate hundreds or thousands of new fake emails, and once they realise that a time based rule (no more than 3 transactions in an hour) is in place, they will try to write their program to attack the system with 3 transactions per hour each time. Not only so, genuine customers are likely to be blocked. For instance, a geo-location rule would block customers booking transactions from ‘riskier’ locations. Moving towards machine learning allows airlines to remove all these unnecessary rules that would have otherwise blocked genuine customers. The combination of big data and machine learning allows more effective fraud prevention. To simplify what has been said about big data and machine learning, big data is first used to collect information about the user’s behaviour on the website (how the mouse moves, what he likes or puts into his wishlist, etc), and this information is combined with machine learning, which uses pattern recognition to map the pattern of his behaviour to match it either with positive (genuine) or negative (fraudulent) behaviour, as well as predictive analytics that records the positive/ negative behaviour and uses that on future transactions for potential signs of fraud. Lastly, an optimized fraud risk algorithm should be used to make decisions on whether or not to accept a transaction based on calculated risks to best optimize sales while controlling fraud and chargeback rates. Since the information and data that each airline collects are different (including their web structure and payment options), airlines should refrain from using a one size fits all solution. Instead, they should consider using fraud solutions that cater and adapt to their industry and business model. Rather than collecting as much data as possible, the quality of the data and how the airlines use the data for better decisions in fraud prevention and increasing sales is much more important. As for machine learning, it often encompasses different types, and simply using one type (predictive analytics) is insufficient. Merchants should learn to discern and understand the different types of machine learning, and be sure to know if the fraud solution uses only predictive analytics or covers more bases with more than one kind of machine learning. To “improve” machine learning, or rather just to get the best out of machine learning, businesses should deploy solutions that use more than just predictive analytics, or upgrade to a solution that uses predictive analytics, pattern recognition and optimization if they are still using traditional methods of preventing fraud. Are you thinking like a fraudster? Are you contemplating how your rewards program or FFP can be exploited by a criminal? It’s time to take action. It’s time to be in control. Fraud is happening, and it’s growing. The onus is on businesses to respond, simply because consumers aren’t changing their behavior and as a result they are more vulnerable to fraud. In one of its recent surveys, ACI indicated that consumers are not really protecting themselves enough. For instance, they “leave phones (with ever increasingly available mobile wallets) unlocked and perform sensitive transactions on public computers”. And to make it worse, if the perception is weak, or there is not adequate customer support as a result of a fraud incident, then the customer moves on. As highlighted in one of our recent articles, the fact that airlines present more earning and redemption options today, mainly via partnerships and rewards ecosystems, this also means that the overall loyalty earning and burning lifecycle has paved way for new means of fraud. We referred to following initiatives to keep a tab on loyalty fraud – monitor activity, keep data/ information secure, stringent verification, being savvy with data, customer experience shouldn’t be jeopardized and creating awareness among consumers. But, as I interacted with experienced airline industry and loyalty consultant, Iain Webster, it became clear that there are other areas, too, that need to be focused upon. Webster, currently associated with ICLP, a part of the Collinson Group, in London as senior loyalty consultant, asserted that fraud is growing. “The fraudsters are getting more serious as they realise the gains to be had. Loyalty practitioners need to get serious too,” suggested Webster. Importantly, the industry also needs to align itself internally in order to have a bigger control over the malice of loyalty fraud. Webster said it boils down to too few airlines recognising that loyalty is big business. “A successful FFP can easily bring in more revenue than a Cargo division, for example. It is up to loyalty practitioners to educate their CFO and CEO on the seriousness of loyalty fraud,” he said. He said there are 2 main issues when it comes to combating loyalty fraud today. 1. Detection: Most loyalty programs sit within marketing departments and therefore have neither the skills nor the inclination to spend time and resource digging around looking for an unseen problem. Detecting fraud requires a mix of data, financial and technical knowledge, said Webster. 2. Prosecution: “I deliberately use the word ‘prosecution’ because that is the logical consequence of theft. Loyalty fraud is theft. Period. But it is not easy to persuade top management or the authorities that something of value has been stolen. Therefore in instances where fraud is uncovered the usual response is to do little more than close the account and blacklist the email address of the fraudster who is then free to move on and do it again somewhere else under an alias,” explained Webster. So airlines need to dig deeper, and need to have resources and processes in place. · Define roles and set up a process – The fraud/ security team needs to be established with clear definition of roles. Also, airlines need to establish business policies and operational practices in addition to implementing fraud detection and prevention tools. Is there a process in place to assess multiple data points in order to detect modus operandi? How to work out manual and automated tools to keep a tab on fraud related to loyalty? Who is going to decide on performance metrics and related accountability? · Understand new developments – A lot is being talked about real-time, behavioral analytics-based fraud detection and prevention. “I would like to see greater use of technology and data mining to detect suspect behaviour patterns in much the same way as the insurance claims industry has been doing for years,” suggested Webster. Specialists highlight that behavioral analytics can be banked upon to discover and probe changes in user behavior with precision. So one can come to grips with complex fraud patterns with high accuracy based on dynamic user behavior modeling. A new association, Loyalty Fraud Prevention Association, has been set up to fight loyalty fraud. “By bringing together loyalty managers from different industries, travel, financial, and retail we will create an environment of shared knowledge of the techniques being used by the bad guys and the counter-measures that others have found successful. This way we can alert our members as to existing and potential scams. The loyalty version of Interpol. Maybe ‘Interpoints’ ?” said Webster, president, Loyalty Fraud Prevention Association. A two-day event, Annual General Meeting - Loyalty Fraud Prevention Association (LFPA), is scheduled to take place in London (Nov 9-10) this year. The agenda: Is your loyalty program protected?